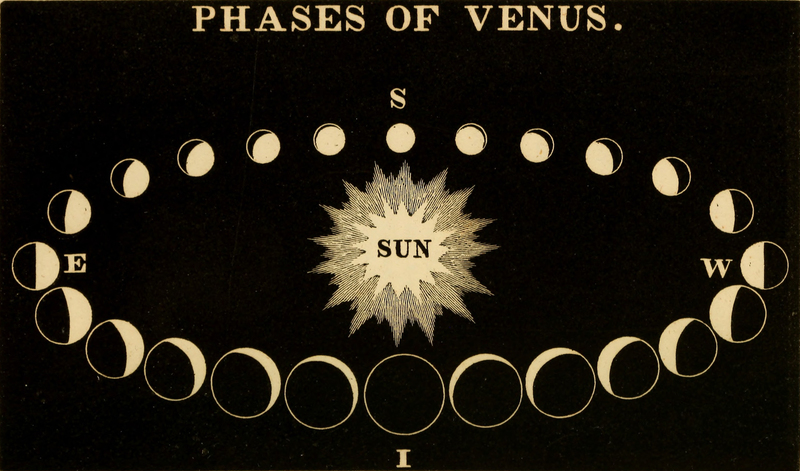 "Phases of Venus," from Uranography by Bzra O. Kendall, 1850. 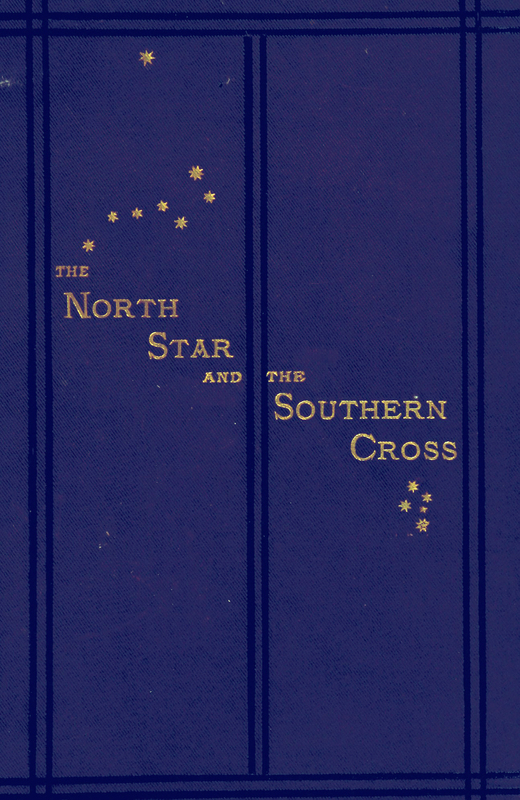 The North Star and the Southern Cross by Margaretha Weppner, 1875. 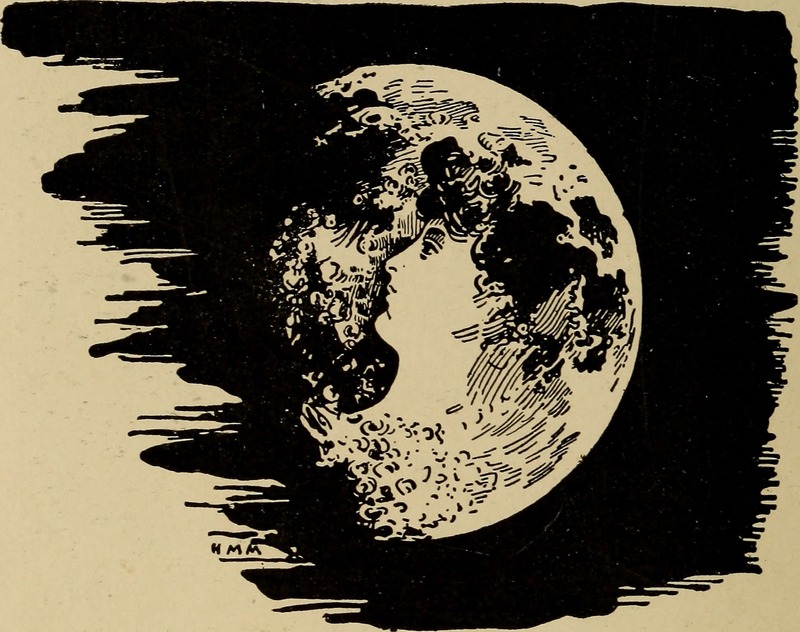 "Little by little the golden aureole crept on," from The Conquest of the Moon by André Laurie, 1889. 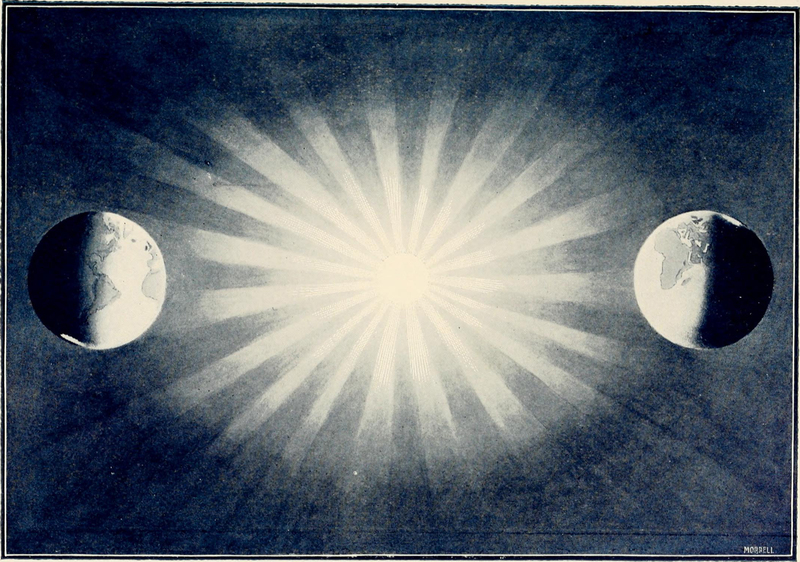 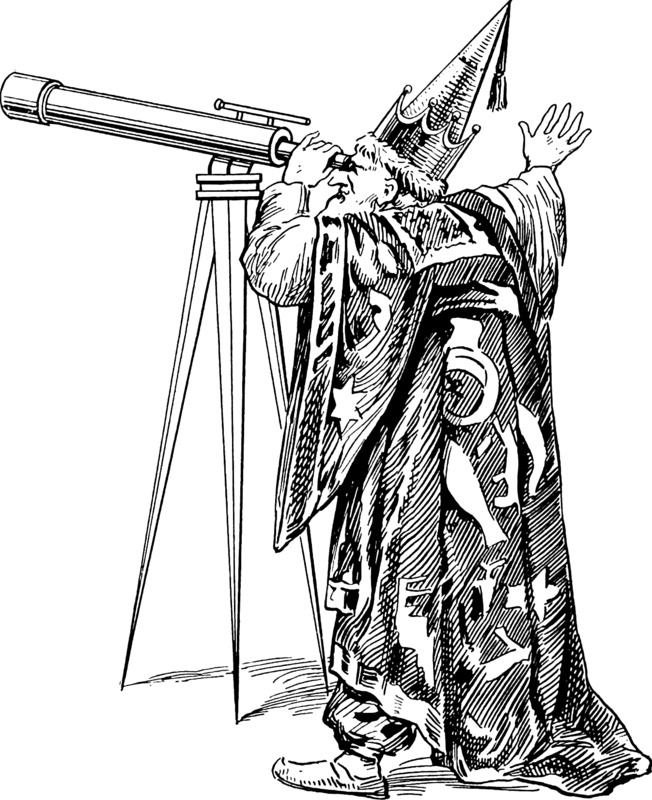 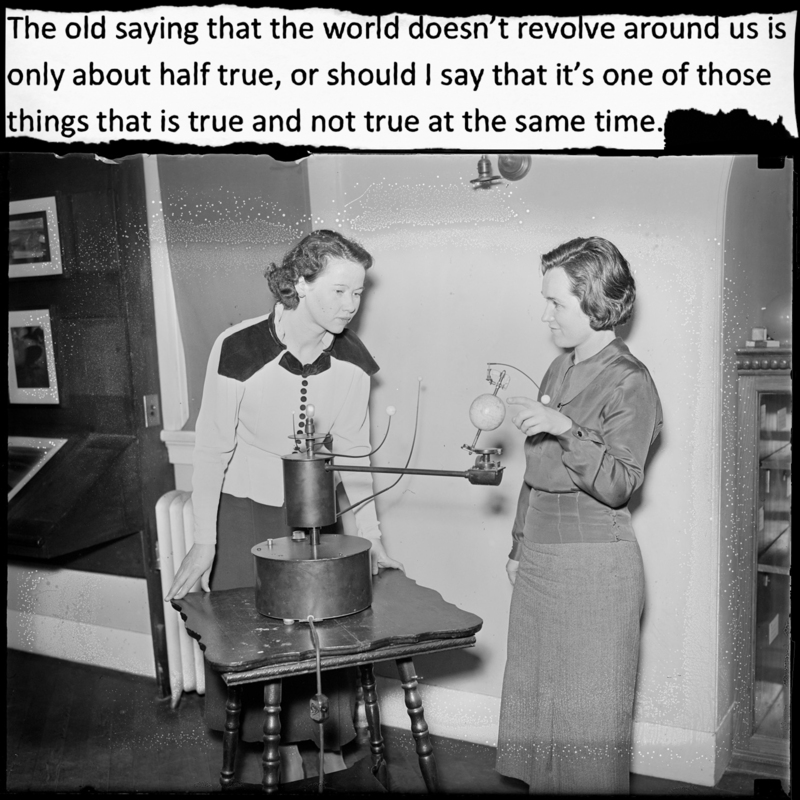 Here's a precursor to 1973's "Twin Earth" thought experiment, from The Children's Book of Stars by G. E. Mitton, 1908. 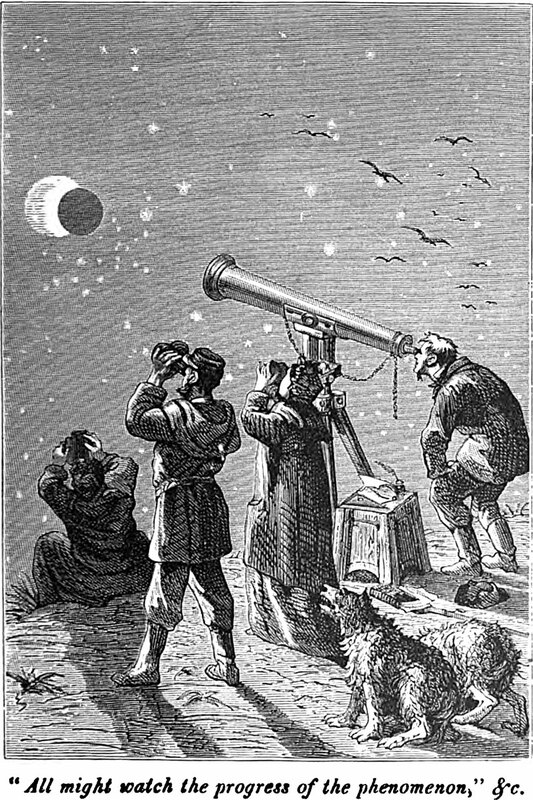 An illustration from The Fur Country by Jules Verne (1874). 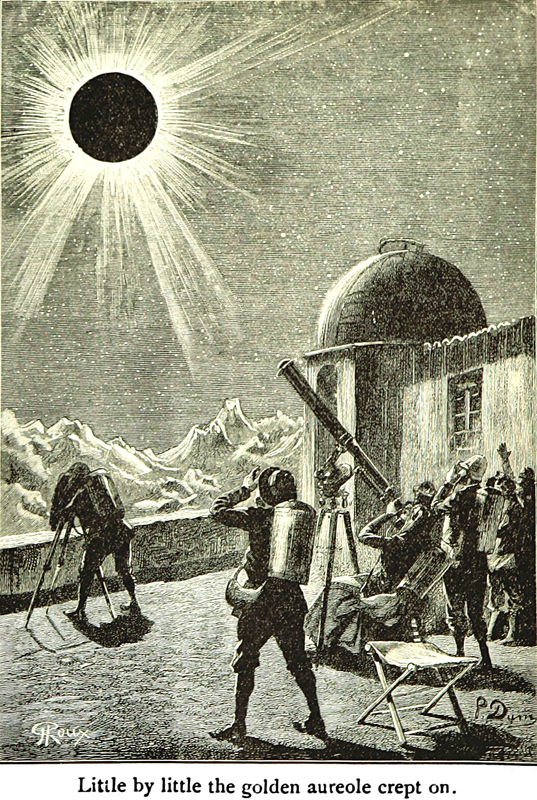 The caption reads: "All might watch the progress of the phenomenon."